Registered owner - James Coats, junior - Ferguslie House, Paisley, Renfrewshire. An image of his castle "Dunselma" which he never stayed in. Another one of his yachts, the sailing ship "Gleniffer". The Coats family home, "Ferguslie" and the Coats firm, today. A photo of "Coats land" a piece of Antartica named after James Coats Jr. and his brother who were the sponsors of the expedition. 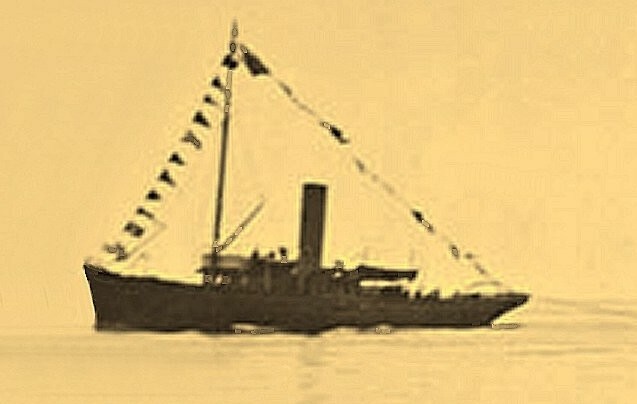 A photo of the expedition ship "Scotia", returning from the Antartic expedition. Madiz (then named "Triton") was there to celebrate the arrival and can be seen imediately behind it (cleaner image below). There is also some footage of the same event on this page (Madiz is seen at the beginning). Triton was designed by G.L. 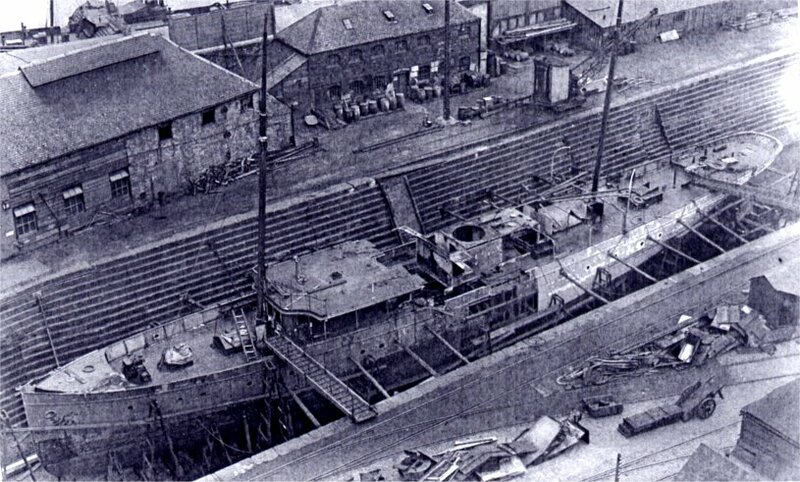 Watson and built to Lloyd's Register class +100A1 by Ailsa Shipbuilding Co., Troon, completed and launched on 27 February 1902. The Lloyd's Register of Yachts, 1903-4 gives her dimensions in feet as length 147.5 (length between perpendiculars 147.0), breadth 22.5 and depth 13.1. She was 289.92 tons gross, net 58.39 tons and her Thames measurement was 337. 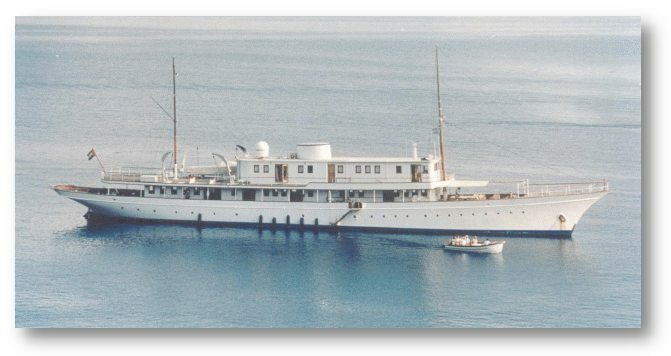 She had six and a half bulkheads and two decks, with the upper fitted out in teak. She was fitted with triple expansion 6 cylinder 10", 16" & 26" - 18" engines with 91 nominal horsepower by Dunismuir & Jackson, Govan. 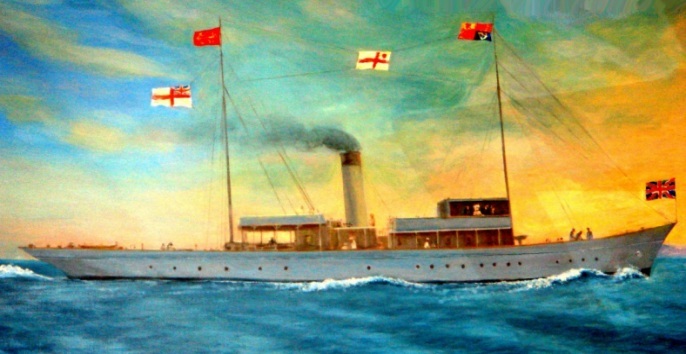 Her sails were made by Lapthorn & Ratseys in 1902. Her call sign was T.J.G.P. and official number 115677. RHOUMA Registered to Sir George Bullough - Kinloch Castle, Isle of Rhum, by Oban who renamed her "RHOUMA"
1923 In 1923 the vessel was lengthened 9'-2" by Scott's Shipbuilding & Engineering Co., Greenock. Her new dimensions (in feet) length 156.7 (length between perpendiculars 156.1), breadth 22.5, and depth 13.1 Also fitted for oil fuel. Her registered tonnage was 140.01 net tons, 318.50 tons gross and her new Thames measurement was 361. 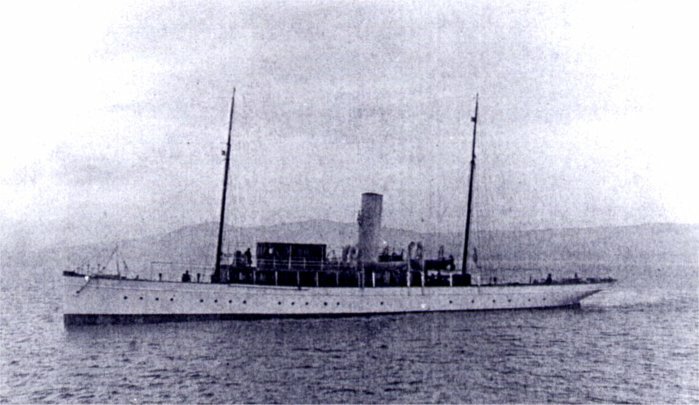 OSPREY Registered to Captain C. Oswald Liddell - Shirenewton Hall, Chepstow and renamed "OSPREY"
Captain Liddell was also the owner of this yacht. 1929 Registered to T. Sackville Manning - 6 Lennox Gardens, London, S.W.1. 1934 Registered to W.D. 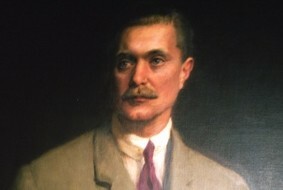 Wills, M.P. - 2 Whitehall Court, London, S.W.1. The grave of one who served on her during the war. 1947 Signal letters changed to G.L.N.Z. 1951 Registered to Benjamin Meaker - 36/40 York Way, King's Cross, London, N.1. Registered to Camper & Nicholson Ltd., port of Registry Southampton. Renamed HINIESTA. 1955 Registered to North Marine & Industrial Consultants Ld. - Clifton House, Euston Road, London N.W.1. 1964 Registered to North & Partners, Ltd. - 37 Great Cumberland Place, London W.1. Signal letters M.T.Q.V. 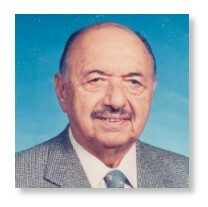 Mr. Keletsekis was Greek, born in Iran and long time President of the Greek community there. He was a highly respected business man in contracting works, shipping and commercial shrimp fishing and a scholar or Russian, English and ancient Greek literature. 1971 Registered to K.M. Corporation (Monrovia), c/o A. Sahinis, 11, B'Merarchias, Piraeus, Greece, port of registry Panama. MADIZ Registered to Kostas Keletsek - c/o Ross Persian Sea Foods Corp., 6-8 Kouche Sirk, Avenue Ferdowsky, Teheran 11, Iran, and renamed "MADIZ"
1993 Registered owner "Prince Trading Corp.", Monrovia, Liberia. 2006 Registered owner "Prince Trading Corp.", Monrovia, Liberia. Returned to class with Lloyd's Register, with original +100A1, LMC notation. 2013 Registered owner "Prince Trading Corp.", Monrovia, Liberia.